Today I took several more pictures of the Mexican tarantula spider that was brought to our house yesterday in a plastic cake box. 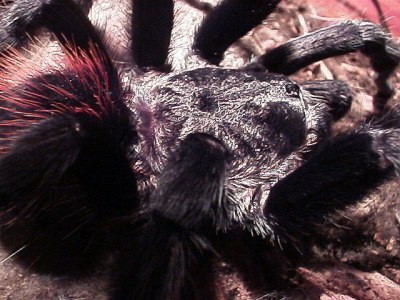 Close up of the carapace of the tarantula. Close up of the carapace, side view. 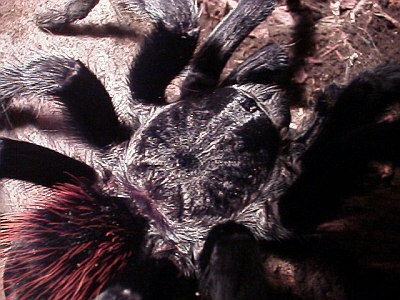 Top view of the tarantula spider. 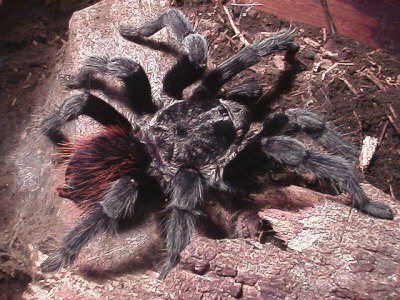 Another top view of the tarantula. 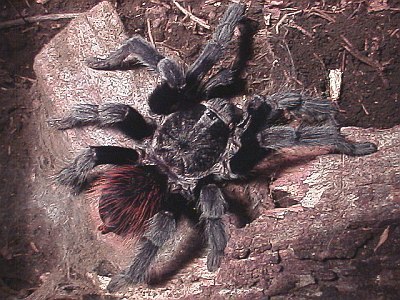 My best guess is - based on the red hairs on the abdomen of the spider - that this is an adult Mexican Red-Rump (Brachypelma vagans) tarantula.